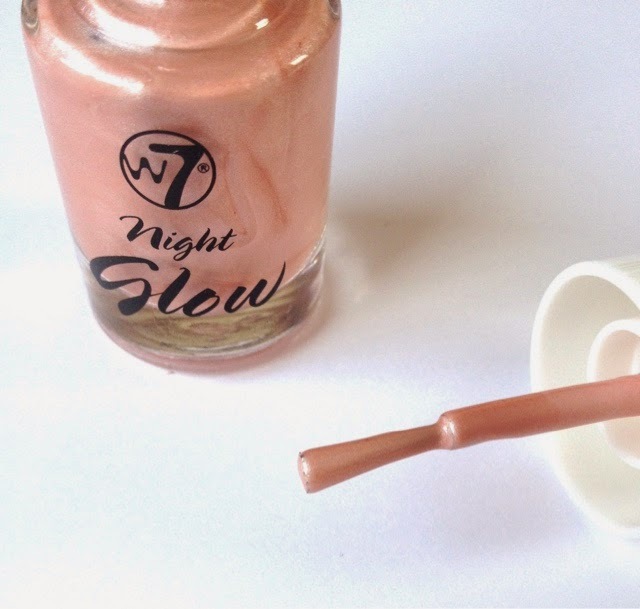 *W7 Night Glow is just that! 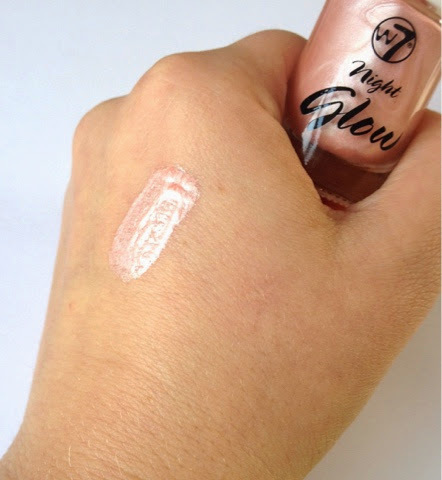 A liquid highlighter that gives you a radiant glow at a few dabs of a stick. 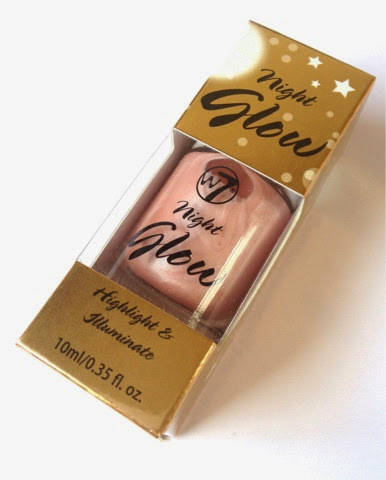 W7 Night Glow RRP between £2.98 - £3.98 depending on retailers. Surprisingly, for a lower priced product, it comes in a nice box....and yes I know packaging isn't everything but it makes it feel more expensive than it is and the bottle itself is very similar to Benefit's High Beam. Inside you have a nail polish sized wand to dab a small amount of product on your cheek bones, eyebrow bones or anywhere you want a slight shimmer. I really like the subtly pearlescent effect the product gives, it's pink toned shade gives a gorgeous glow to anywhere you want. Have you tried this product or any other W7 products? This is beautiful, I love using products that give my skin that healthy glow & this looks so pretty. 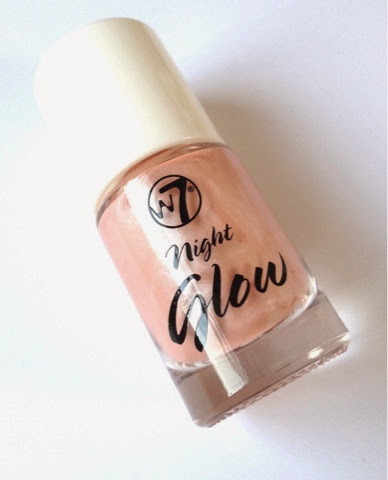 It gives a glow without being to shimmery, if you know what I mean! Definitely a bargain product!